aditus is pleased to announce two exciting new projects we’ve taken on, in cooperation with four esteemed partner organisations. Project Integrated is an undertaking shared by aditus, JRS Malta and Integra Foundation, with the support of UNHCR Malta. The three Maltese NGOs will integrate their best efforts, until the end of 2015, for the sake of better integrating beneficiaries of international protection in the local context – to help them profit fully from their human rights and to restore their pride as independent and successful contributors to society. In anticipation of the integration policy which Malta is meant to publish this year, Project Integrated will work to help beneficiaries see some of the everyday benefits that come directly, in theory, from their protected status. In education, healthcare and employment, for example, many obstacles remain, even as beneficiaries have the right to all three: We intend to advance integration through counselling, facilitating access to services, monitoring the practical lapses in integration and ongoing advocacy with the Maltese authorities and the press. In particular, aditus will offer its legal expertise to Project Integrated through the further mobilisation of its Pro Bono Unit. aditus will also build on the insights gained in our earlier projects, especially the Stakeholder Information Sessions, to organise capacity-building activities with its partners. Next, as a member of the European Network on Statelessness, aditus will be the Maltese focal point for the project Protecting Stateless Persons from Arbitrary Detention. The European Network on Statelessness is a group of NGOs, academic initiatives and individual experts with over 90 members in 30 European countries. The Institute on Statelessness and Inclusion will be an expert partner on the project; and in March, American photojournalist Greg Constantine will be in Malta to document the problem. Nowhere People, the website featuring his work on statelessness, is here. Protecting Stateless Persons from Arbitrary Detention, a three-year project, will address the increase in Europe of immigration detention, including as a form of punishment, and the state criminalisation of irregular migration, the lack of protection for the stateless and the gulf between the rights afforded to the stateless on paper, according to legal standards, and the actual realisation of those rights. The gulf, in fact, leaves many stateless persons vulnerable to arbitrary detention in Europe. Protecting Stateless Persons will study each national reality of statelessness, offer region- and country-specific tools to protect the stateless, train lawyers, NGOs and others to use those tools and advocate for protection. 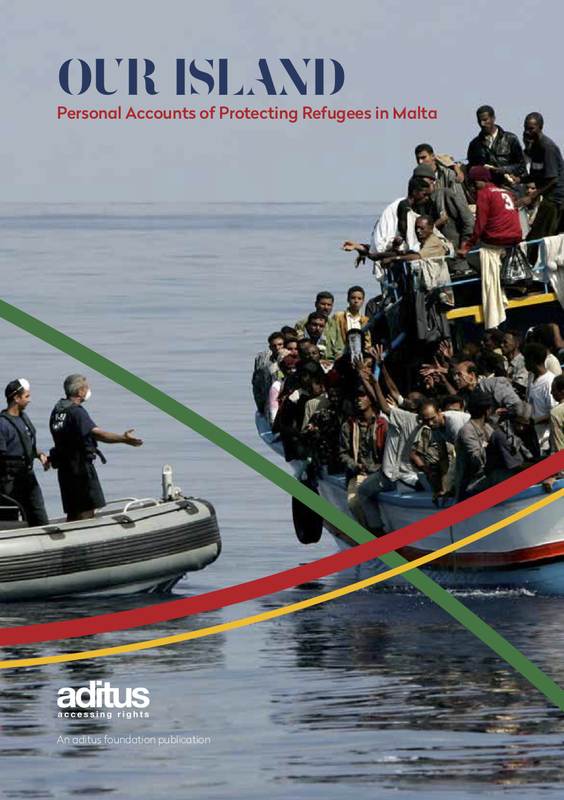 Together with JRS Malta we’ve submitted technical comments on proposals to amend the Refugees Act, as Malta commences the exercise to transpose the EU’s recast Qualification, Reception and Procedures Directives. Our comments were sent to the Ministry for Home Affairs and National Security, and technical dialogue is currently underway to work on the finer details of the transposition exercise. We’re keen to continue this dialogue, particularly for the transposition of the recast Reception Directive since this will require a profound revision of Malta’s reception policy. The document also contains a table comparing the Directive with current and proposed legislation. Overall, the Directive’s measures seem to be adequately provided for in the proposed amendments. Noting that the Qualification Directive was not significantly amended in the recast process, it is appreciated that the changes required in the Maltese context in order to fully transpose the Recast Directive are in fact minimal. This further highlights the importance of effective consultation for the Recast Reception Conditions and Procedures Directives, both heavily amended in the recast process and having a serious impact on Malta’s asylum regime. With regard to the general transposition approach, we fail to understand why this is being conducted in a piece-meal fashion instead of one that approaches all three amended Directives in a coherent, efficient and targeted manner. The present exercise seems to focus on the Qualification Directive, yet already contains significant elements of the other Directives yet without seeing them through in a complete fashion. no definition, or defining criteria are provided for “applicants in need of special procedural guarantees”. The comments can be downloaded here.